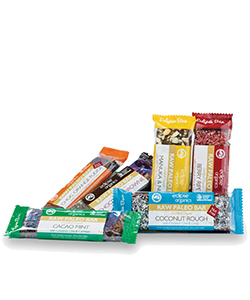 Googys Choc Sea Salt are a genuine wholefood protein bar made with only 6 ingredients. 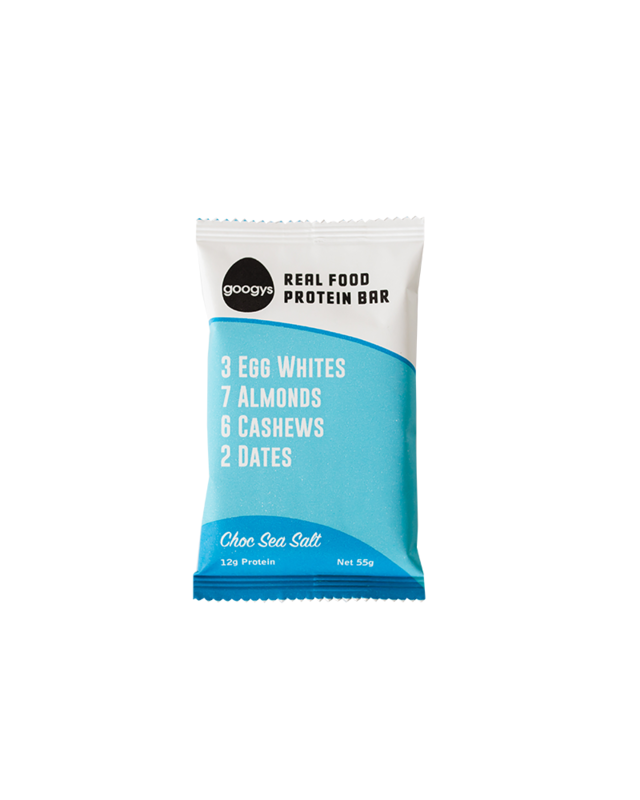 Every bar has 3 Egg Whites for 12g of protein, fruit for fibre and sweetness, and nuts for good wholefood fats. That’s it, No BS. 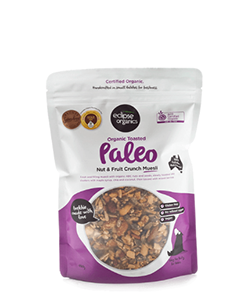 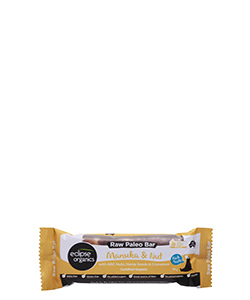 • Dairy Free, Soy Free, Gluten Free, Peanut Free, No Added Sugar, Paleo, Non-GMO.